Yoga is beyond what the Western world deems it to be: a series of physical poses done to create physical and mental health. In Nithya Yoga, His Holiness Paramahamsa Nithyananda demonstrates that yoga is the uniting of our bodies, minds, spirit—essentially, uniting our Higher Self. Paramahamsa Nithyananda discusses that yoga is not merely the path to bliss, but the path of bliss. His Holiness’s devised yoga program is included and explained in detail, along with meditations and techniques provided to further achieve a blissful state. Nithya Yoga is a totally scientific, modern and yet most ancient system of Yoga as originally expressed by Patanjali, the father of Yoga. Yoga was the philosophy and practice conceived and transmitted by the great sage to prepare an individual to experience and express transformation at all levels – body, mind and being. 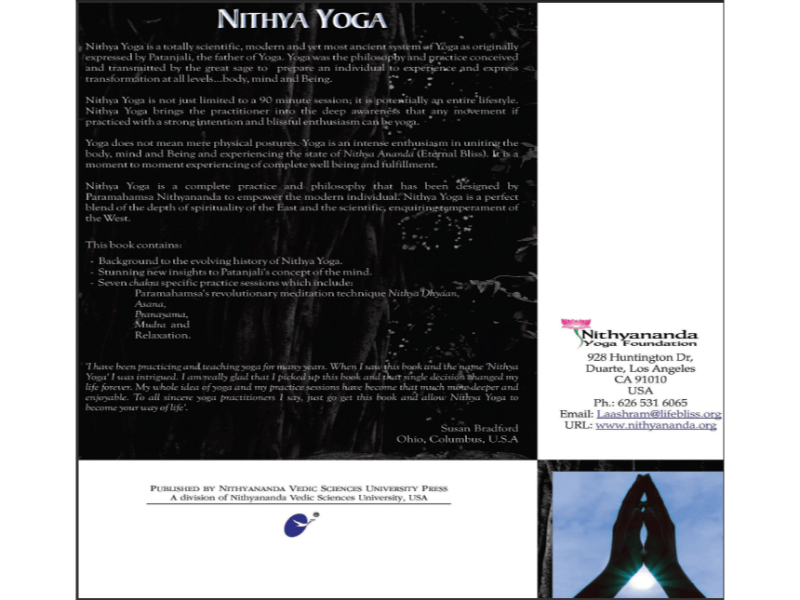 Nithya Yoga is not just limited to a 90 minute session; it is potentially an entire life style. Nithya Yoga brings the practitioner into the deep awareness that any movement if practiced with a strong intention and blissful enthusiasm can be yoga. Yoga does not mean mere physical postures. Yoga is an intense enthusiasm in uniting the body, mind and Being and experiencing the state of Nithya Ananada (Eternal Bliss). It is a moment to moment experiencing of complete well being and fulfillment. 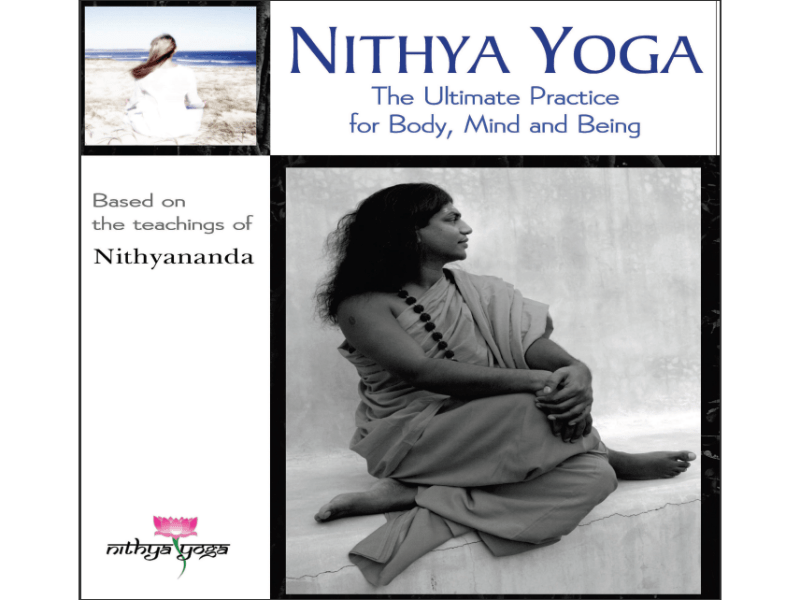 Nithya Yoga is a complete practice and philosophy that has been designed by Paramahamsa Nithyananda to empower the modern individual. Nithya Yoga is a perfect blend of the depth of spirituality of the East and the scientific, enquiring temperament of the West.